Stalker presents an immersive and interactive re-imagining of natural Australian habitats as an installation and workshop. Enter Creature the Installation, a projected 3D play space for young and old, where you can rediscover the environment, wildlife, and our relationship to it. Experienced educators and performers are your guides, using narrative and led movement exercises, sparking reflection, discussion and great play. The team at Stalker Theatre, in partnership with the Creativity & Cognition Studios at the University of Technology Sydney, are driven by a desire to educate, engage and entertain. 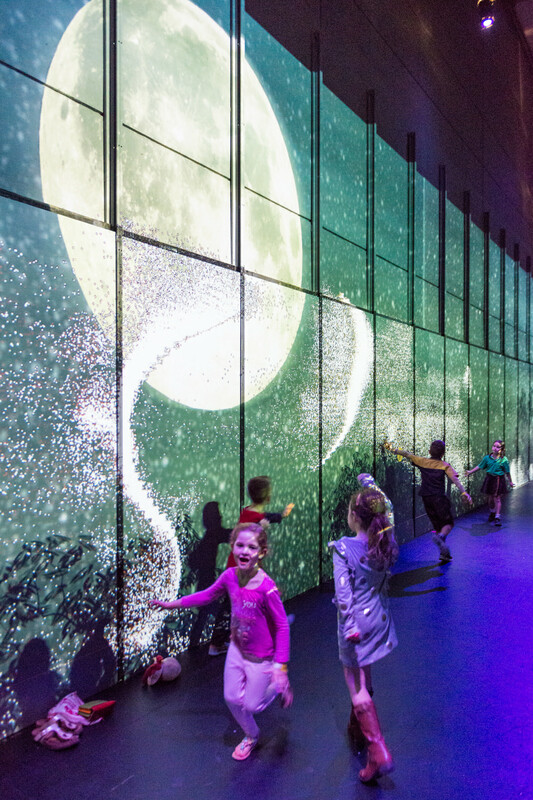 The real-time interactive projection systems can be customised for your needs and we are able to create a wide range of visual and sonic effects. First commissioned by QPAC for the 2016 Out of the Box Festival.